The target audience for the GRN workshop are people actively doing/directing high diversity prairie restoration at a significant scale; or doing the science. The workshop has a lot of field time with some inside talks. We talk a lot about techniques, equipment, monitoring and measuring success, the science behind the restoration, and other wonkish topics. 5:00 – 6:00 pm: Social Hour at HQ. 6:00 – 9:00 pm: Dinner at HQ with short Keynote Talk. The GRN is an informal network of people working to improve the conservation effectiveness of grassland restoration. Through annual meetings and other communication pathways, GRN participants share information on such topics as restoration techniques, objectives, challenges, measures of success, and more. 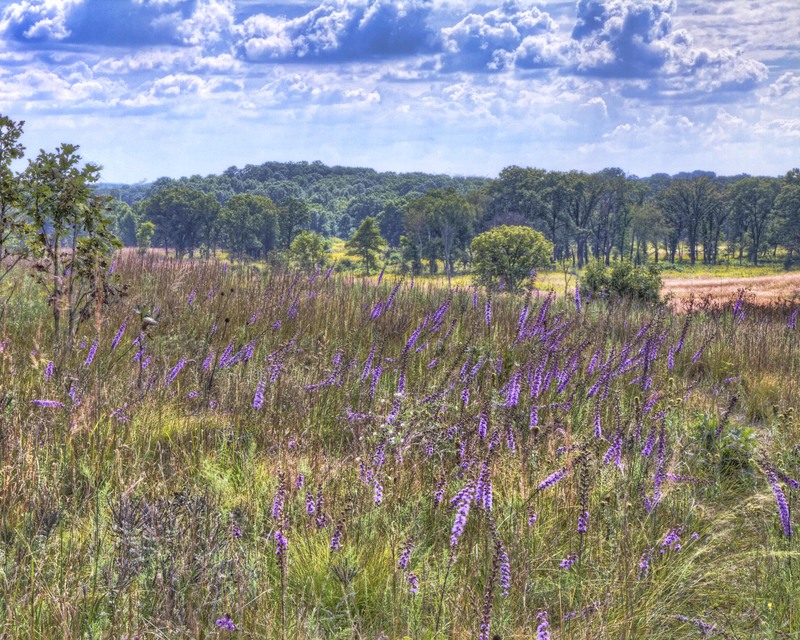 The ultimate goal is to conserve native grasslands by using restoration to defragment and enhance existing habitats. We are limited on space in this workshop, and we want to host a particular audience, and our invite may get bounced around the internet to lots of folks. The target audience we are aiming for are land stewards responsible for creating grassland/oak savanna habitat, their supervisors, and ecologists who study grasslands. The target audience is typically not under-graduates, seasonal employees, citizens who want to learn about grasslands (noble as that is), friends of the project (who know us too well anyway). Please fill out the registration information below. Do not send payment yet. The cost will be set low at $75 due to a grant from the Grand Victoria Foundation. By the end of June we will know what space we have and will send an email requesting a payment by check or credit card. We have a block of hotel rooms set aside (cost not included in registration). So easy. What is your job title? What do you do? We will be having concurrent “learning” tours which we will schedule based on your ranking of preferences that follow. These tours will last a few hours each, require moderate hiking off trail, and hopefully be informative. If you have mobility issues let us know and we will create a custom tour for you. Since the tours are concurrent you may not get all your top picks. We expect to keep tours limited to 15 people. Some popular tours will be repeated. So……rank your preferences with one being the highest and down to twelve. ____ Planting prairie at scale from start to finish. Setting objectives and measures of success, seed harvesting, mixing, planting, maintaining. See several high diversity plantings. ____ Bee ecology. Viewing monitoring stations, pollination, planting diversity effects. ____ Setting up a long term field research project. Visit some studies, discuss with scientists. ____ Strategies for managing weeds. Tools, techniques, thinking at scale, specific weed strategies, when to throw in the towel. ____ Overseeding for success. Adding seed to restorations and degraded remnants. Visit various habitats and see the results. ____ Nachusa’s prescribed fire program. Fire effects. Woodlands and grasslands. Equipment, fire break prep, strategies, results. ____ Soil science, soil carbon, nutrients, understanding soil diversity. Fen hydrology. ____ Bison program. Corral, fence design, genetics, ecology. ____ Herps: ornate box turtle, snakes, monitoring and baseline surveys. Management. ____ Other. What do you want? Hold the dates of September 9 to 11 open while you wait to hear from us. This entry was posted in Uncategorized and tagged agenda, GRN, registration, workshop. Bookmark the permalink.